In 2011 the Occupy movement realized the fast, cheap, global scaling that one would expect in the digital age. Â The crowdsourced Occupy Research project recorded 488 separate occupy encampments around the world, and France 24Â reportedÂ 951 encampments in 82 countries. The current occupation in Istanbul is the latest iteration of a movement that operates more like a meme. And then Occupy ended, or rather, it morphed. Â In some ways, Occupy became more global. Â Writing about Occupy London a year later, Kevin Rawlinson of The IndependentÂ interviewed former Occupiers to see what they were up to and found that their focus was broader in 2012 than it had been the year before. In 2012, Occupy also went local. Local Occupy iterations were different from the first wave of Occupy, started by the Occupy Wall Street encampment, in that they were less about the injustice of global capitalism, and more about addressing local problems. Â Occupy Sandy, which sought to crowdsource distaster response to Hurricane Sandy, is probably the best known in the United States, but it is only one example of this phenomenon. In Boston, the Save the T campaign to protect municipal public transit included a group called Occupy MBTA. Â In Brazil, a group called Occupy Salvador came to the aid of “one of the oldest slave descendent communities in Brazil,” QuilomboÂ Rio dos Macacos, when the Navy threatened them with eviction. Â In Armenia, a group occupied Mashtots Park in Yerevan to protest its transformation from public Â green space into privatized market. The current protests in Istanbul, dubbed #OccupyGezi, also started as an attempt to protect public green space from development. Â However, unlike other second wave protests, that took the Occupy meme and used it as a model for protest on local issues, the protests in Istanbul seems to be expanding in focus rather than contracting. After police attacked the environmental protesters, new protesters joined in, with different motives ranging from the war in Syria to opposition to the government of Prime MinisterÂ ErdoÄŸan. Â In an article for The Telegraph of London,Â Mayor Kadir Topbas said that the original protesters who “genuinely care for the trees and the environment” were being manipulated by others with “political agendas.” Â Whether or not protesters are being manipulated, the aims of occupation are definitely expanding. 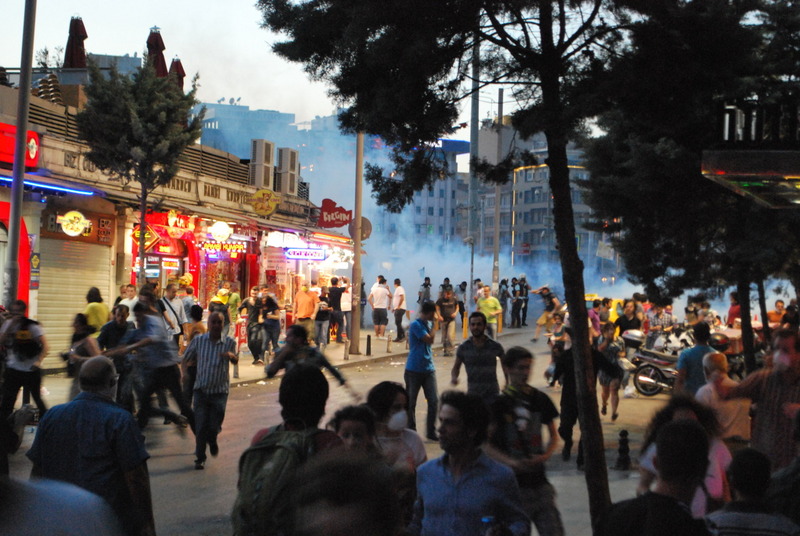 Does Occupy Gezi represent a third wave of Occupy? Â Occupy began global, with Occupy Wall Street and its protest of international capitalism. Â In 2012,Â OccupiersÂ were global, but their concerns were local. Â Occupiers around the world applied the methods and ideology of Occupy to campaigns against local injustices. Â In 2013, is Occupy going global again, by taking campaigns for local causes and expanding them to encompass national and international concerns? Â It’s too early to tell. Occupy is a meme, a cultural concept with a commonly recognized meaning that can be easily transmitted and remixed. Â It implies a central tactic – the occupation of public space as a protest of injustice – and has a set of values that is radically democratic. Â Beyond that it can be defined and refined according to whomever adopts it. Â It is a political movement deeply in tune with the digital age. Â Nobody owns Occupy. Â Everybody owns Occupy.